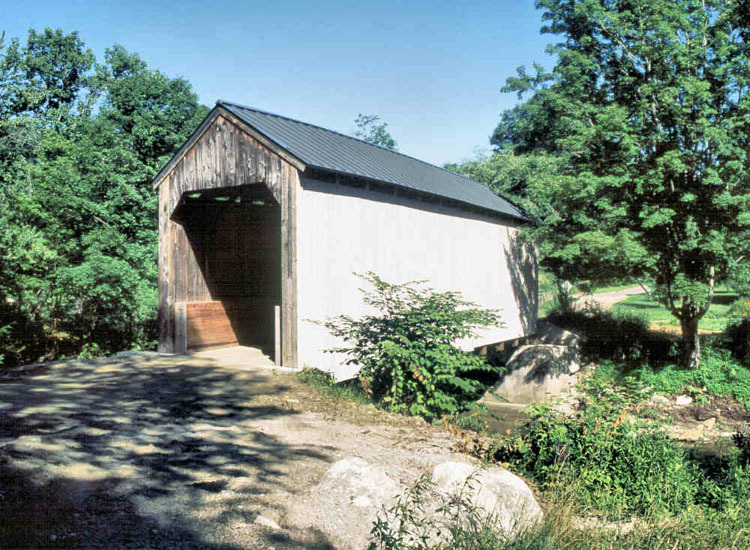 The Kidder Hill Bridge is the only kingposter in Vermont that still has sway braces. These braces were more commonly used on open bridges, which had no other provisions for lateral bracing. Our thanks to the Town of Grafton for allowing the posting of the Vermont Covered Bridge Society Welcome patch. For more information about the Grafton area visit their website at www.graftonvt.org.